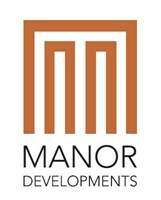 Manor Developments (Essex) Limited is a Chelmsford based painting and decorating company covering the Essex, London and surrounding areas. We offer a professional, competent and trustworthy service delivered by our friendly team of tradespeople who have over 100 years of combined experience in their field. We pride ourselves on offering a quality, respectful service ensuring punctuality, attention to detail and customer satisfaction and are proud to accept much of our business on recommendation throughout the sectors in which we work. Our business brings together the expertise and skills of tradespeople with a wide portfolio of experience within the industry. We believe that bringing these skills together under one roof offers clients a versatile range of experience, ensuring that our team have the appropriate skills to meet all client requirements whether working directly with the client on domestic works to larger commercial projects or working with contractors on specified projects in a range of sectors. As well as decorative and protective finishes using paints and wall coverings we are also able to offer specialist coatings such as anti graffiti, fire protection and specialist flooring finishes. In all cases leading brand products and most suitable method of application are used to achieve the best results for our work. Our tradespeople work in accordance with written method statements and observe full risk assessments which are completed prior to commencement of any works. We hold professional indemnity and public liability insurance and work to a set of policies and procedures which provide a platform for our professional responsibilities including Health & Safety and environmental impact. measurable quality objectives which reflect our business aims. Our objective is to provide our clients with products and services which meet their needs and exceed their expectations.